Healthy is the new wealthy! 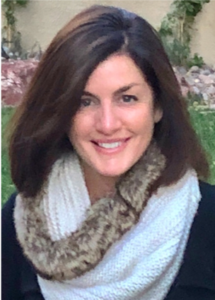 NMC is proud to feature guest writer Ms. Shauna Walch, Executive Director of Stillpoint Center for Spiritual Development who shares how the path to wellness involves mind, body, and spirit. Navigating the twists and turns of traffic, the ins and outs of the health care system, and constant calendar deadlines can be as stressful as maneuvering through a maze; so, it might seem puzzling that Stillpoint Center for Spiritual Development and Dignity Health – St. Rose Dominican Hospitals prescribe labyrinth walking as preventative care. However, meandering through the unicursal (single) path of a labyrinth can calm the tensions that increase the risk of anxiety, depression, digestive problems, weight gain, headaches, heart disease, sleep problems, and memory and concentration impairment. The word labyrinth and maze are often used interchangeably yet they are not the same. Mazes are puzzles. They employ misleading corridors and dead ends designed to perplex and even provoke a person’s “fight or flight” response system. Labyrinths, an ancient archetype found across many cultures and our community, do the opposite. Designed around a center point, walking the winding path of a labyrinth and repeating a meditative mantra such as “I am hope, I am health, I am healing” or a prayer such as “Be still and know that I am God” can be powerful medicine. It can help to relax breathing, slow heart rate, and lower blood pressure. Stillpoint and St. Rose are leading monthly Labyrinth Meditation Walks at various labyrinth locations throughout southern Nevada. And because we value whole-person health, we are taking portable labyrinths to area colleges and universities to educate tomorrow’s health care professionals about how this free, accessible form of self-care can promote spiritual, emotional and physical well-being. A maze is a metaphor for modern life. Our personal and work lives are not typically life threatening, but our stress response systems are activated throughout the day as we face the near relentless demands placed on our time and attention. As a result, more than three-quarters of medical visits are for stress-related illnesses. Walking a labyrinth slowly is just one way to unwind and nurture wellbeing. 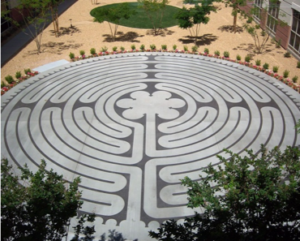 To learn more about Stillpoint and St. Rose’s monthly Labyrinth Meditation Walks, visit stillpoint.org or call 702.243.4040.